Excitement to the extreme. All month long, you get hundreds of opportunities to win cash and free play, just by playing at Finger Lakes! Hot Seats, cash drawings, Free Play giveaways, play-to-win games -- we do it all! Promotions are just another way being a Lucky North Member is a reward for you. 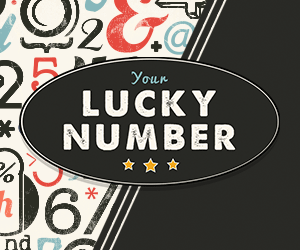 If you're not a Member yet, learn more about the Lucky North Club and members-only promotions and offers. We call great entertainment a win, too. 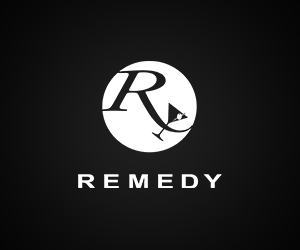 You can count on live bands at Remedy every Friday and Saturday, featuring top local talent and even national acts. Plus, we host special events and shows throughout the year. Live Thoroughbred Racing returns Saturday, April 27, and your first bet is on us! Click images below for promotion times & information. Gaming day begins at 8am. Gaming floor closes at 4am daily. Feeling Lucky? Win up to $99 Free Play! Peep the display in our lobby and take a guess! Cash in with this sweet spring drawing. Hop to it - our Easter menu is delicious! An April shower you definitely want to get caught up in. 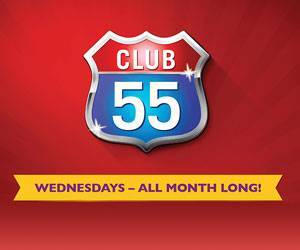 Members aged 55 and up enjoy exclusive perks including $5 Free Play and 2x Points all day! Thursdays are 10x the fun! Add two savory lobster tails to your buffet for a truly indulgent dinner! Hut, hut, HIKE! Join us for Draft Day shenanigans with WCMF! It's the best fish fry in town! Enjoy a delectable variety of seafood dishes at the Vineyard Buffet!